Spring Lake is a quaint village community located in Ottawa Country, within minutes of Grand Haven, Muskegon, Holland, and Grand Rapids. 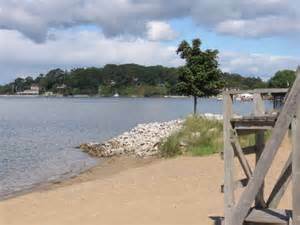 If you are a boater and love the water, Spring Lake is the community for you. Homes on Spring Lake are modern and feature beautiful views of the waterfront. A smaller, more private lake, Spring Lake is great for boating, waterskiing, tubing, fishing, and all kinds of water sports. 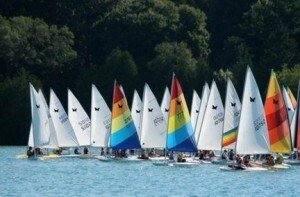 Plus, if you want to take your boat out to the big lake, Lake Michigan is just a short boat ride away. Spring Lake is a wonderful community with a rich and vibrant culture. The Village itself has a downtown-shopping district, featuring anything from ATVS and hardware to fine wines and art galleries. In the summer months, you might catch yourself shopping the local farm and garden market Thursday mornings or walking the community trails and enjoying one of the many public parks. Lakeside Beach is a local favorite. This beautiful park has a sandy beach area, a lifeguard on duty, picnic areas for family and friends, and a scenic deck overlooking the water. If you’ve had enough water for the day, Spring Lake’s Central Park is full of community-wide amenities for all seasons. With inline skating for the summer, ice skating for the winter, and a year-round dog park, Central Park is a wonderful addition to the community. If you become a resident of the Spring Lake community, you will certainly find yourself participating in the Annual Spring Lake Heritage Festival, which hosts fun summer activities for the entire family. With a classic car show, flea market, family fun night, senior swing dancing, and more, the Spring Lake Heritage Festival has something for everyone. One of the unique features of West Michigan is its many golf courses. West Michigan has a higher concentration of golf courses than most other places in the United States. Spring Lake is no exception. With the Spring Lake Country Club, you can take advantage of a world-class golf course in your own backyard. 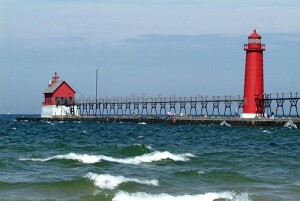 The Village of Spring Lake is just minutes away from the Grand Haven, Muskegon, Holland, and Grand Rapids. Your summers will be filled with fun and excitement because you will be able to enjoy all of the unique features from each community. Whether you attend Grand Haven’s Coast Guard Festival, Muskegon’s Irish Festival, Holland’s Tulip Time, or Art Prize in Grand Rapids, you will be sure to have a wonderful time. If you are interesting in any home on Spring Lake, be sure to check out our full Spring Lake listings page. There you will be able to find a full list of all available properties. If there are any specific properties you are interested in, or have any other questions about the area, please fill out our contact form. We would be more than happy to answer any questions you may have or walk you through a home.